LONGINES HKIR 2018 – what does the clock say? The fields are set and the draw is complete. 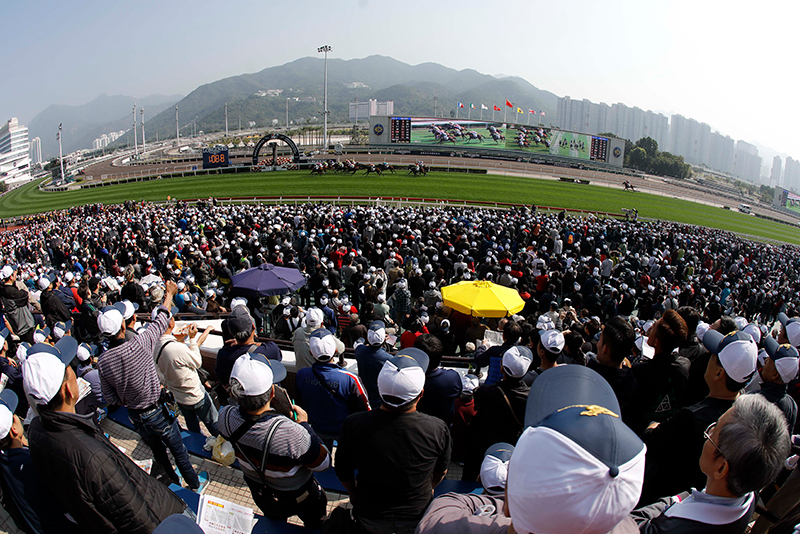 Four G1 battles will be fought before a huge crowd at Sha Tin on Sunday and Graham Cunningham completes this year’s Blog series with 10 More Things You Need to Know about the 2018 LONGINES Hong Kong International Races. The stage is set for another memorable LONGINES HKIR at Sha Tin. Hardly an original opener, it’s true, but will Hong Kong’s flagship set sail again as he bids to go back-to-back in the Mile? Beauty Generation is rated at least 4lb higher than any other horse on the card and has 7lb plus in hand of those seeking to stop him repeating last year’s win. Put simply, if he produces his ‘A’ game the rest are in trouble. But is it really that simple? John Moore’s freewheeling gelding had already produced two mighty handicap performances before his Jockey Club Mile win and peaked for a third time in seven weeks when breaking the track record in the G2 Jockey Club Mile last month. Beauty Generation breaks the track record in the Jockey Club Mile. But Zac Purton wasn’t smiling. 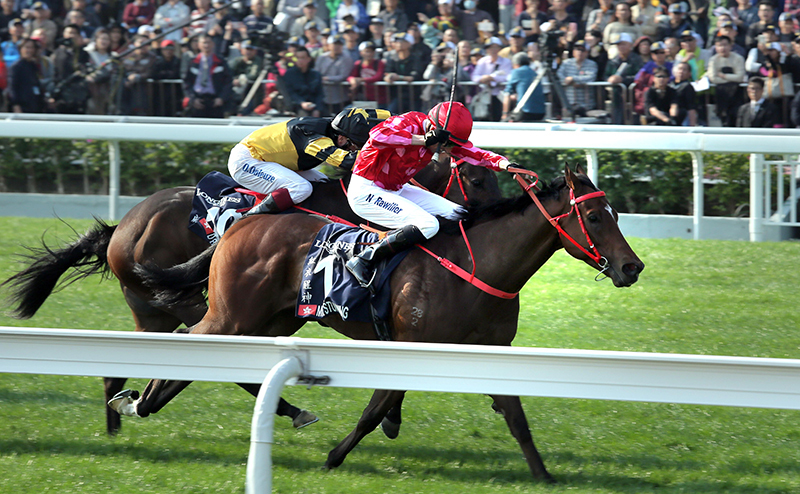 The clinical Aussie seemed to sense his mount had been to a tough place in a fiercely-run race and the way Hong Kong’s Horse of the Year hung left was puzzling. Moore compared his stable star to the mighty Able Friend subsequently. That is high praise indeed, but Able Friend came up short as hot favourite behind a Japanese raider when he tried to go back to back in the 2015 Mile. And, if Hong Kong’s darling dips even a little, then the Land of the Rising Sun could be poised to shine again. Maurice won the Mile Championship before dethroning Able Friend here in 2015 and it’s arguable that Persian Knight should be lining up with two wins in that Kyoto G1 to his name. Mirco Demuro clearly has huge belief in this four-year-old’s turn of foot but that confidence can lead to traffic problems and Persian Knight’s strong career record could have been even more impressive granted more luck. That was certainly the case when he failed by a head to peg back Stelvio in the latest Mile Championship and Mozu Ascot was also unlucky in the same race when squeezed in the home straight. Mozu Ascot’s best form gives him a clear place chance but Persian Knight is at the peak of his powers for his first trip to Hong Kong. His powerful finish is the type of weapon that could go a long way towards spoiling the Beauty Generation party. It’s hard to argue with the way that ace HKJC race-caller Brett Davis summed up Hot King Prawn as he recorded his ninth win from 10 starts in the Jockey Club Sprint. “He is A ripper” was the Davis cry as the grey flashed home and, with Joao Moreira aboard on his first day as John Size’s stable jockey, most punters will look no further. Hot King Prawn lands the Jockey Club Sprint. But perhaps they should. Hot King Prawn secured an easy lead here three weeks ago – running four lengths slower through the first 800m than when winning the Premier Bowl on his previous start – and ripped home in 22.32s for the final 400m. Size knows his Prawn could receive a more intense early grilling this time. He’s confident Moreira can adapt even if a pincer movement emerges. But don’t be surprised if one of Hot King Prawn’s former stablemates looms as a major threat. Returning heroes have a strong record in the Sprint and last year’s winner Mr Stunning – now with Frankie Lor having been switched from Size – seeks to join fabled dual winners like Lord Kanaloa, Silent Witness and Sacred Kingdom. Mr Stunning lands the 2017 LONGINES Hong Kong Sprint. The record shows Mr Stunning has come up short twice behind Hot King Prawn but he was conceding 11lb after a long absence when third in the Premier Bowl and 5lb when beaten just half a length in the Jockey Club Sprint. Significantly, round three takes place at level weights. Add in the fact that Mr Stunning caught a bump which forced him wide last time and he looks poised to give the Prawn all the trouble he can handle. Popular opinion suggests Pakistan Star is Hong Kong’s brilliant bad boy but Time Warp is giving him a real run for his money. This time last year he was the most dangerous front runner in town and his win in this race was commanding even allowing for an easy lead. Time Warp goes all the way in last year's Hong Kong Cup. Time Warp showed he can still be dangerous with a soft lead by landing the Sa Sa Ladies’ Purse Handicap in early November but it’s clear he can fold when pressured nowadays and he faded tamely in the Jockey Club Cup recently. The bottom line is this powerful chestnut hasn’t beaten a single horse in four of his last five starts. Can you think of any other horse who has won a major international G1 contest with that profile? No, nor can I. If not Time Warp, then who? It could be his younger sibling Glorious Forever, though a repeat of the destructive duel the brothers engaged in recently has to be avoided, while leading Japanese filly Deirdre is in top form with Christophe Lemaire aboard. However, the more you look at this year’s Hong Kong Cup the more it seems Sungrazer is the horse to focus on. Sungrazer's Japanese form makes him a strong Hong Kong Cup contender. This son of Deep Impact has been mixing it with Japan’s very best for over a year now and has assembled an impressive record, winning two strong G2 contests and coming home with a will under Moreira for a fine second in the G1 Tenno Sho. The third and fourth from the Tenno Sho have given that form a very solid look since and, with Moreira returning to his spiritual home, Sungrazer clearly has a great deal in his favour. Statistics don’t always tell the full story but Europe has won 20 of 24 editions of the LONGINES Hong Kong Vase with Japan landing two of the other four. The trends for locals are hardly auspicious and this year’s Hong Kong team relies on one horse who is good enough if in the mood and two who need to up their game. Eagle Way and Exultant are closely matched on Jockey Club Cup form and likely to be suited by the step up to 2400m, while William Buick is charged with relighting the fire inside the powder keg that is Pakistan Star. William Buick guides Pakistan Star to an impressive QEII Cup win. Buick will be under firm orders to return to patient tactics aboard Tony Cruz’s brilliant-but-bonkers gelding – and that looks very sensible – but the international team has real depth and this could be another year when Hong Kong’s most precious Vase is marked for export. It can’t be easy to jump ship when you are first jockey to Aidan O’Brien but Moore’s decision to get off the Irish Derby runner-up to ride Sir Michael Stoute’s impeccably-bred Frankel colt looks a good call. 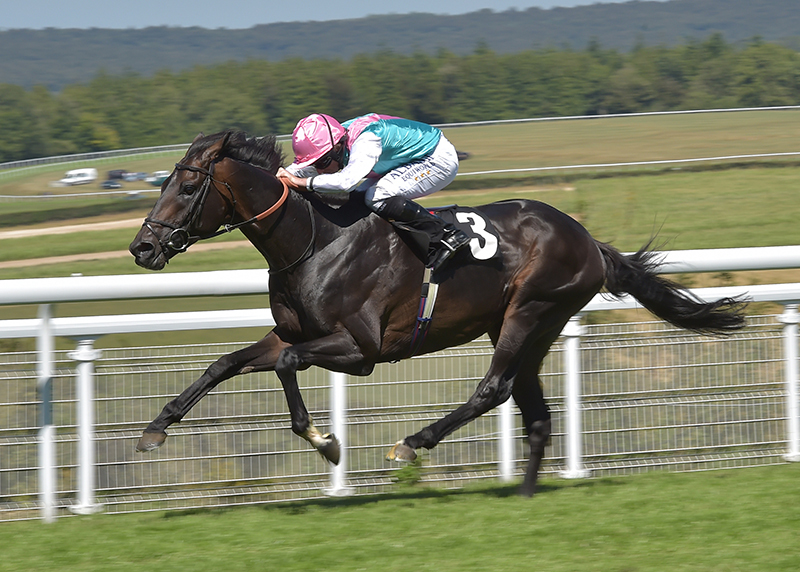 Ryan Moore’s presence aboard the improving Mirage Dancer looks notable. True, Mirage Dancer has a little to find if Arc fourth Waldgeist produces his very best but that can’t be assured after his dull Breeders’ Cup effort. By contrast, Mirage Dancer has been progressing steadily. He is a strong stayer and the presence of Moore looks a big plus as he bids to add to his two Vase wins aboard O’Brien’s ultimate globetrotter Highland Reel. Appearances can be deceptive but Persian Knight and Sungrazer have cut a real dash during their track work at Sha Tin this week. Britain’s Mirage Dancer has impressed both with his elegant physique and powerful galloping style under Moore, while Deirdre has looked fine ahead of her clash with Sungrazer and company in the Cup. By contrast, English Mile contender Beat The Bank has cut a very edgy figure with his erratic behaviour before going out to gallop, while one senior gallop watcher has been unimpressed with the way Waldgeist has handled track work on his second long foreign trip in a month. It seems the draw gods are keen to make sure some of the big names do it the hard way in this year’s HKIR contests. The first 400m of all four G1 contests will be significant and the fact that Glorious Forever is drawn one to Time Warp’s seven in the Cup gives him the chance to make life hard for his big brother if Silvestre de Sousa so desires. Draw concerns shouldn’t be a major issue over 2400m in the Vase but Mirage Dancer and Melbourne Cup third Prince Of Arran have ground to cover from 13 and 14, while Joao Moreira is going to need all his dynamism to ensure Hot King Prawn gets across to lead from barrier 11 in the Sprint. The fact that Persian Knight is way out west in stall 14 for the Mile may not be crucial given that he is always ridden from well back – all of which brings us back to where we started. Beauty Generation remains the flagship horse of this year’s LONGINES HKIR and another commanding win would see him end 2018 as the world’s champion miler. Stall 12 isn’t ideal, but he’s overcome adversity before and his presence adds a huge amount to what promises to be a spectacular Sunday at Sha Tin. Graham Cunningham chose a career in racing ahead of the law thirty years ago and has never regretted it for a moment. Nine years with the world-renowned Timeform organization paved the way for a lengthy spell as a reporter and columnist in various newspapers, starting with the Sporting Life and followed by the Racing Post and the London Evening Standard. 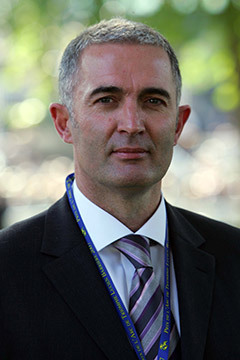 Graham also spent a more than a decade on television in the UK as a lead analyst for Racing UK and Channel 4 but moved to Hong Kong early in 2017 and is currently employed as Senior Racing Media Content Specialist for the Hong Kong Jockey Club.